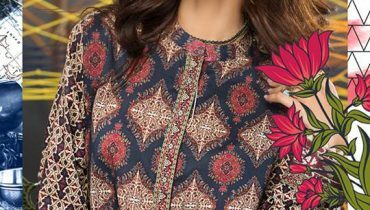 Here we go with the latest and voguish Walima Dresses 2017. All the dresses are in unique designs and according to the latest Fashion trend of bridal dresses. 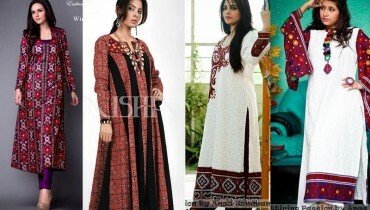 Bridal dress is very difficult thing to select as well as very important. Bride’s look is from her dress and makeup. A bride should look stunning. Her dress should be according to latest bridal fashion trend and the colour scheme should be amazing. Red is the color for Wedding day but for Walima there is no specific colour. 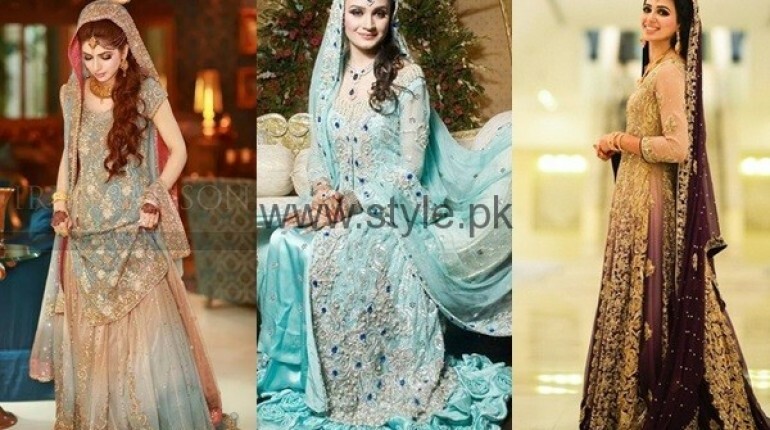 Brides go for light colour as well as dark colours for Walima. 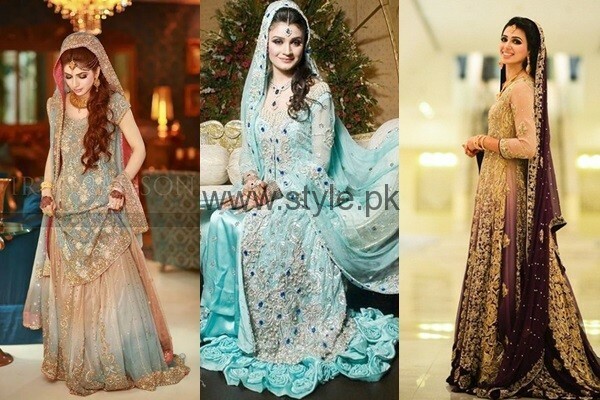 Here we go with the up to minute and Latest Walima Dresses 2017. Have a look. Tie and die dress in light colours looks absolutely amazing. 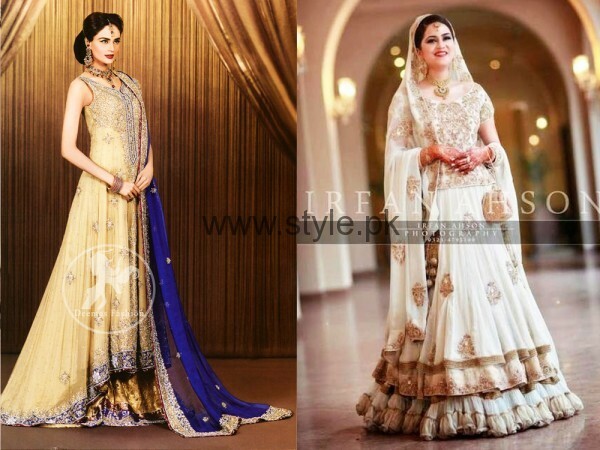 Sharmila Farooqui is stunned on her Walima in yellowish skin dress with silver embroidery. The contrast of purple and off white is much in trend. 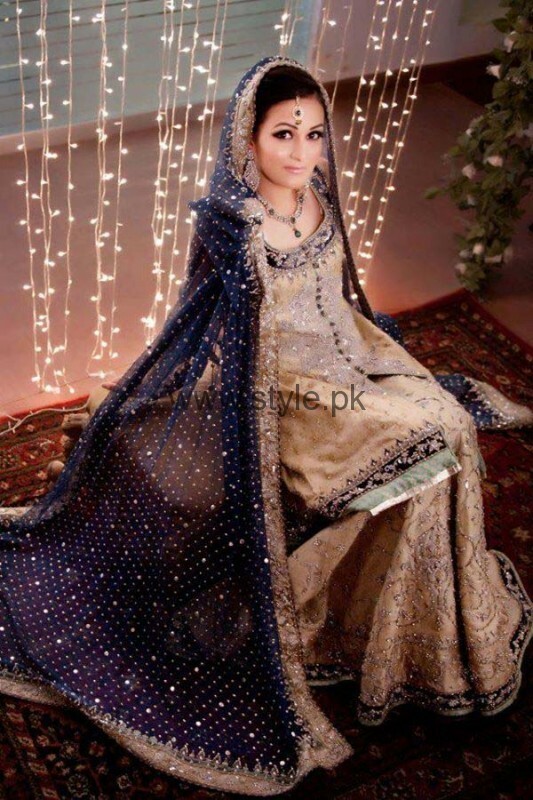 If you want to go in the dark tone, blue is an amazing colour for Walima. You can see almost every dress has a touch of off white colour. Off white has been in trend for last few years. 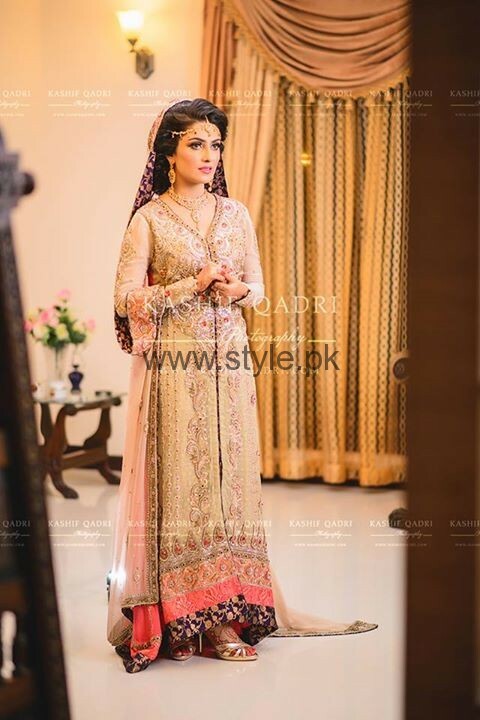 Ayeza Khan looks gorgeous on her Walima in this skin colour combined with other colours. 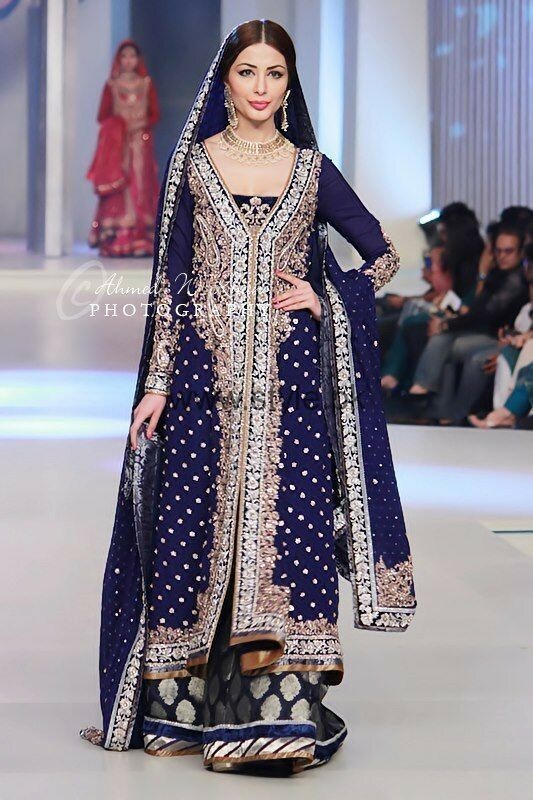 Really love the off white and purple contrast Walima outfit. Who is the designer and do you have a website for it?